This paper, first prepared in November 2004, is intended to provide an introduction to Mark Masonry for brethren who wish to widen their knowledge of Freemasonry in general and of the Mark Degree in particular. It could either be delivered as an address to an audience of Mark or Craft Masons or handed out as a means of providing them with basic information on Mark Masonry. It is well known that operative stone masons indented the stones they had prepared with special marks. These were of two types, those that indicated the orientation and position of the stone within the building together with a personal mark to identify the mason who prepared it. 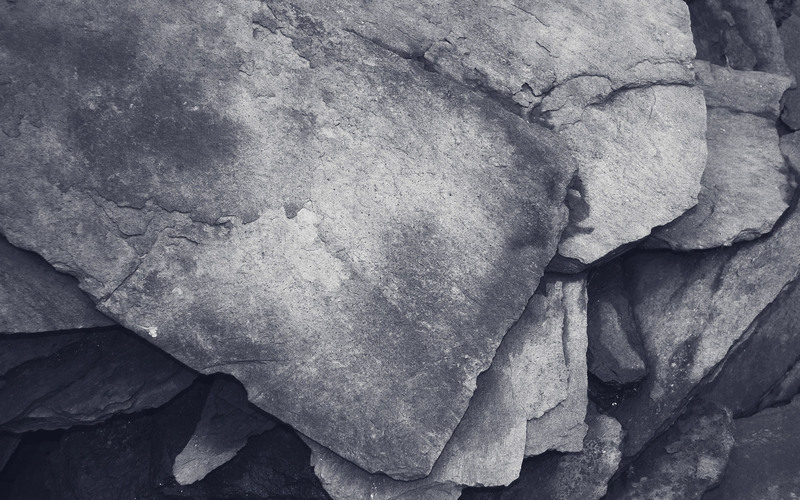 Additional marks were sometimes employed to indicate the location where the stone had been quarried. Operative stonemasonry, as a major trade, began to evolve in the early 11th century with the Saxon builders and intensified in the centuries following the Norman invasion. By the 14th century building had reached a scale that required the trade to be regulated in its customs and practices. The first regulatory body was the Masons’ Company, formed in London sometime before 1375, later known as the London Masons’ Company. It was granted a coat of arms in 1472. These arms were later adopted by the first Grand Lodge soon after its foundation in 1717, and still form one half of the arms of the present United Grand Lodge of England. The earliest known document regulating the trade is the Regius Manuscript of c. 1390. These and later documents, now referred to as the Old Charges, are the origins of the present charges found in the Craft Book of Constitutions, abbreviated forms of which are delivered to each new Mason and to the Master before his installation. Although the origins of speculative Freemasonry are unclear, it is evident that it has borrowed heavily from the medieval operative stone masons’ trade in a number of respects - including the symbolism of working tools and gauges in the Craft and other Masonic Orders, and the use of marks in speculative Mark Masonry. 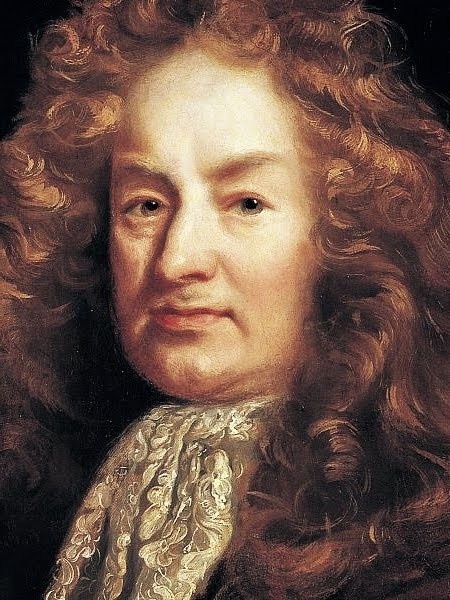 The earliest authenticated record of a man being made a truly speculative Mason is that of Elias Ashmole (founder of the Ashmolean Museum at Oxford, among other things), who was admitted to a Lodge in Warrington in 1646. The first Grand Lodge was founded at the Goose and Gridiron Alehouse, St Pauls Church Yard, in the City of London in 1717 and this marked the start of organised Freemasonry. Because of disputes about certain practices and principles, a breakaway rival Grand Lodge was formed in 1751. The two Grand Lodges eventually reconciled their differences and the Act of Union was signed in 1813 when the present United Grand Lodge of England came into being. As to the ritual, we know (from early exposures) that a system of three Craft Degrees was well developed by 1730 and that the Royal Arch emerged in the 1740s. The first mention of a brother being made a Mark Mason was at a Lodge in Newcastle in January 1756, although earlier references to a brother having "received his mark' are known. But it is not clear from these records whether a degree ceremony was being worked. The earliest records of a speculative Mark degree being worked in England are those of Royal Arch Chapter No 257 at Portsmouth on 1 September 1769 when several brethren were made Mark Masons and Mark Masters. It was introduced to the Chapter by that very well known Masonic figure, Thomas Dunkerley. As to where he obtained it is a matter that merits more detailed investigation. Note that in the earlier working the Mark Man and Mark Master were performed as two distinct degrees as opposed to the present practice of the Mark Man forming no more than an introductory phase to the Mark Master Degree. It is also apparent from the earlier working that the Mark Man degree was conferred on Fellow Crafts and the Mark Master Degree on Master Masons. The early Mark Degrees were closely associated with the Royal Arch, as they still are in many parts of the world. Their development probably followed soon after that of the Royal Arch. Many different ceremonies were known to exist, parts of which would be recognisable to the present day. It is also clear that the Mark Degrees were worked in Craft Lodges and in Royal Arch Chapters up until 1813. The existence of independent Mark Lodges at this time is not known, although one lodge, the Lodge of Hope, Bradford, conferred the Degree under a constitution originating from a body called "The Grand Lodge of All England, held at York'. Its influence in this country was confined to York, Cheshire and Lancashire. It was formed in 1725 and existed until 1792 but its influence abroad is more important. There is a well-known statement that was agreed upon in the Act of Union between the Premier and Antients Grand Lodges in 1813 - it appears at the front of the Book of Constitutions of the United Grand Lodge of England. It is a declaration that “Pure Antient Masonry consists of three degrees and no more, namely, those of the Entered Apprentice, the Fellow Craft, and the Master Mason, including the Supreme Order of the Holy Royal Arch”. The fact that a second Grand Lodge (the “Antients”) emerged in 1751 was largely because of a disagreement over ritual content. It is therefore hardly surprising that, eventually, in order to achieve harmony a considerable amount of ground had to be conceded by both parties. The Premier (or “Moderns”) Grand Lodge did not recognise the Royal Arch, or even the Installation Ceremony, as part of pure Masonry – so they evidently conceded much to the Antients in order to achieve the Union. Against this background the Mark and other Masonic Orders were left in limbo. We had in fact a good old English compromise that evidently left many brethren discontented. So, what was emerging as a closely related set of “Solomonic” degrees, i.e. symbolism based on KST (or, in the case of the Royal Arch, on the building of the Second Temple) became split. Mark was no longer to be considered by the Craft as part of pure Antient Masonry. After 1813 the Mark Degree continued to grow in popularity and was worked, unofficially, in Craft Lodges and Royal Arch Chapters – a very unsatisfactory state of affairs. The eventual establishment of a separate English Grand Lodge of Mark Master Masons in 1856 came after a very intriguing period, which will now be briefly explained. It is somewhat arbitrary to state that the Mark is not part of pure Freemasonry, while the Royal Arch is. This is reinforced by the fact that the Mark Degree is so recognised by our two Sister Grand Lodges of Ireland and Scotland – and indeed by most other constitutions throughout the world. In almost every constitution the Mark Degree is a pre-requisite for the Royal Arch. Initially, six Mark Masons who had received the Degree from the Bon Accord Royal Arch Chapter No 70 (Aberdeen) applied to that Chapter for a Charter to form a Mark Lodge in London. This was duly granted and Bon Accord Lodge of Mark Masters held its first meeting on 18th September 1851, at which they balloted for 18 candidates of whom six were advanced that day. In 1855, following the appearance of an article on the Mark in the Freemasons’ Monthly Magazine (edited by Richard Spencer a founder of the Bon Accord Mark Lodge) there ensued a major dispute between the Bon Accord Chapter and the Supreme Grand Chapter of Scotland (SGCS). In short SGCS accused the Bon Accord Chapter of acting without authority in issuing the Charter. Time does not permit us to follow these events in detail, suffice it to say that following heated exchanges, Bon Accord Chapter was suspended by SGCS in September 1855 and never met after 1856. This left the thriving Bon Accord Mark Lodge, now with some 120 members, without a valid Charter but still anxious to work under an authoritative body. Strangely, nothing of the Scottish fracas is reported in the minutes of the time but Bro Spencer (later of Toye Kenning & Spencer) gave full reports in the Freemasons’ Monthly Magazine. Acknowledging the growing popularity of the Mark Degree, both at home and abroad, a joint Committee of Grand Lodge and Grand Chapter in England was appointed in November 1855 to report on the position of Mark Masonry in relation to Ancient Free Masonry. The Committee was soon called upon to deliberate when some senior members of the Bon Accord Mark Lodge, who held prominent positions within English Freemasonry, made another attempt to seek recognition for the Mark Degree from United Grand Lodge. It should be noted that three members of the Joint Committee were also members of the Bon Accord Mark Lodge, namely John Symonds, W H Absolon, and John Hervey. On 21st May 1856, John Havers, another member of the Committee, was advanced in Bon Accord Mark Lodge. It is noteworthy that the true essence of Mark Masonry as an integral part of Solomonic Masonry and its practice in Scotland and in other parts of the world does not seem to have been emphasised by those on the Committee who understood the Degree. Was it the case that the senior members of Bon Accord Mark Lodge realised that the Mark Degree might become a mere appendage to the Craft and its true importance lost? Did they in fact deliberately plan that the resolution to Grand Lodge should fail? The reference to “final steps” indicates that earlier steps had already been taken and there is evidence to support this. The advancement of John Hervey at this meeting is also significant, as is the fact that several Craft Grand Officers who would be voting at the June Quarterly Communication were also members of the Lodge. Sure enough at the next Communication of Grand Lodge on 4 June 1856, when the Minutes were put for confirmation, an amendment was moved: “That such portion as related to the subject of the Mark Masons be not confirmed.” After some discussion the amendment was carried. The rate at which events transpired following this rejection of Mark Masonry by Grand Lodge, coupled with the unorthodox manner in which it was done, is further confirmation that the rejection was contrived. On the same day four London Brethren visiting Glasgow, all journalists, petitioned the SGCS for warrant to form a Lodge styled the St Marks Lodge of Mark Masters, to be registered as No 1 on their roll. This was duly granted and the Charter was dated 18th June 1856, just 14 days after rejection by the English Craft. Meanwhile, William Collins, Secretary of the Bon Accord Mark Lodge, sent a letter convening a special meeting of Lodge Officers and Permanent Committee at the Freemasons’ Tavern on 23rd June 1856. The purpose was to take into consideration the propriety of adopting the recommendation of the Permanent Committee “That a Grand Mark Masters Lodge for England and its Dependencies be forthwith established”. At the conclusion of the meeting, in conjunction with three other Mark Lodges, meeting at Newcastle, Bath, and London, they formed Mark Grand Lodge with Lord Leigh being elected Grand Master. The title of the new body being the “Grand Lodge of Mark Master Masons of England and Wales and the Dominions and Dependencies of the British Crown. Among much support for the formation of this new body there were also a number of bitter reactions. In the early years Mark Grand Lodge was beset with problems, among the foremost of which was to convince the wider Masonic community of its genuine authority and regularity and to win over those Mark Lodges that had distanced themselves from the new body. Lord Leigh knew he had to retrieve the situation. He wrote an impressive letter, addressed to each Mark Lodge that could be contacted, making a number of proposals and suggestions (including an offer to resign as Grand Master if they would agree to place themselves under one constitution). A meeting was convened for 30th May 1857, attended by some 70 brethren representing his own Grand Lodge, Scottish Supreme Grand Chapter, and independent Mark Lodges. This proved to be a very successful meeting and a turning point for the fortunes of Mark Grand Lodge. It led to revised constitutions, concessions to existing Mark Lodges who would agree to register under Mark Grand Lodge, the recognition of the status of individual brethren, and agreed revisions to ritual. Although difficulties persisted the new body was now firmly established. By December 1857 it had 15 Lodges. However, relations with Scotland continued to be strained with new Mark Lodges in England still being granted warrants from the SGCS up until 1875. This was not helped by the fact that the Mark Degree was not officially recognised by United Grand Lodge or Supreme Grand Chapter as forming part of Pure Ancient Masonry. This was incorrectly interpreted by some as meaning that they regarded Mark Grand Lodge as irregular, which they did not. Official recognition of Mark Grand Lodge gradually materialised from various constitutions, and most notably from the Grand Chapter of Ireland in November 1875. Finally, with little other option, the SGCS formally gave its recognition on 18th June 1879. The regalia worn today was first designed for and worn by the members of the London Bon Accord Mark Lodge in 1856. A Mark Master Mason wears an apron similar to that of a Master Mason in the Craft except that the Mark apron is bordered with light blue with crimson edges. He also wears a breast jewel in the form of a keystone suspended from a ribbon of light blue and crimson. The Installed Mark Master’s apron is likewise similar to a Craft Installed Master’s apron. Also, like the Craft, when a brother receives Provincial Grand Rank or Grand Rank the light blue is replaced with Garter blue. The Structure of Mark Grand Lodge is similar to that of the United Grand Lodge. It has a number of Provincial and District Grand Lodges and several unattached Lodges. In addition to the Mark Degree, Grand Lodge also controls the Ancient and Honourable Fraternity of Royal Ark Mariners through a body styled The Grand Master’s Royal Ark Council. In size of membership the Mark ranks third, after the Craft and Royal Arch. Nationally, there are just over 5 Craft Lodges to each Mark Lodge. In 1857 Surrey and Devonshire became the first Provincial Grand Lodges to be constituted in the Mark Degree. Surrey began with just two lodges, Hiram No 13 and Joppa No 17. Early records have been lost but both lodges failed to meet regularly, Joppa ceased altogether but Hiram was revived and is now our oldest Lodge. When Mark Grand Lodge was formed in 1856 with Lord Leigh as Grand Master, he appointed George Beauchamp Cole as Grand Junior Warden. This Brother who was also Senior Warden of Bon Accord Lodge was appointed as the first Provincial Grand Master for the Mark Province of Surrey in 1857 and, in the same year, was also the first Master of Hiram Lodge No 13.  Because of the early failure of the first two Surrey Lodges the combined Province of Middlesex and Surrey was constituted on 2nd June 1871 with Col Sir Frances Burdett as Provincial Grand Master. This meeting took place at Guildford Town Hall, an event that is commemorated by the Guildford Clock emblem on our present Provincial Tie. The meeting was held under the banner of Percy Lodge No 114, our second oldest lodge. Col Burdett served until 1892 as Provincial Grand Master of the combined Province, when Surrey and Middlesex were again constituted as separate provinces. On 29 October 1892 Colonel Gerrard Noel Money was installed as Provincial Grand Master of the newly constituted Province comprising 6 Mark lodges and 2 RAM lodges. At the end of 2008 there were 43 Mark lodges and 39 RAM lodges in Surrey.